Leaving him was Impossible… It took everything she had for FBI Special Agent Danica Beckett to walk away from the man she loved. But if she wants to save his life, she has to keep her distance. Now, with a killer on the loose and the stakes higher than ever before, the Department of Covert Ops is forcing these former lovers into an uneasy alliance… whether they like it or not. This is book 2 in the series. Book 1 is on sale as well (we’ve featured it in the past). … turns into a dangerous seduction. Soon, Grace Hawthorne is living a double life. By day, she is the widowed mother of two college-aged sons. By night, she submits to Sean’s every dark desire. She’s living out her wildest fantasies of pleasure — intimate acts of trust she’s only read about. As passion engulfs her, a murderer strikes, and Grace learns that Sean has a deeply hidden agenda. Will Sean choose his mission and break her heart or be the Master of her dreams? The bloody slave rebellion led by Nat Turner in Virginia in 1831 and the savage reprisals that followed shattered beyond repair the myth of the contented slave and the benign master, and intensified the forces of change that would plunge America into the bloodbath of the Civil War. Stephen B. Oates, the acclaimed biographer of Abraham Lincoln and Martin Luther King, Jr., presents a gripping and insightful account of the rebellionâ€”the complex, gifted, and driven man who led it, the social conditions that produced it, and the legacy it left. A classic now newly reissued for the first time in more than twenty years, here is the dramatic re-creation of the turbulent period that marked a crucial turning point in America’s history. 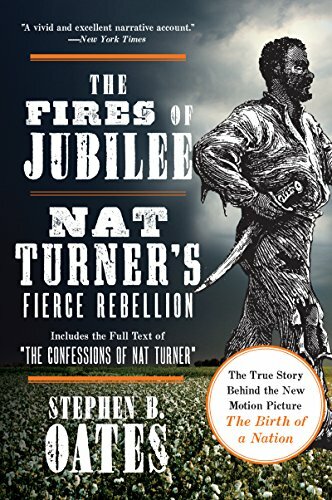 I can’t get enough of the story of Nate Parker and his quest to make a movie about Nat Turner. This is one of the better rundowns of Parker’s story. Thirty-one-year-old Victorian gentlewoman Amelia Peabody has not only inherited her father’s fortune, but she is also blessed with his strong will as well. 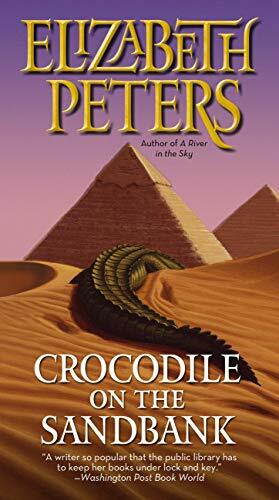 Now she’s headed for Cairo, accompanied by a girl with a tarnished past, to indulge her passion for Egyptology. Little did she know that murder and a homicidal mummy lay in wait for her. This is a terrific series. Oh I love Amelia Peabody :-). @Sirius: Me too. The series got a little repetitive towards the end, but Amelia and Emerson were one of the first literary couples that I admired. Never quite warmed up to Ramses and Nefret though. BTW, I saw that one of your books was a KDD yesterday. Congrats. @Susan: agreed, agreed and agreed :-). I read one Amelia Peabody and it seemed like she was just an observer of the action, which all happened off-page and was recounted to her. I love the Amelia Peabody series!